Belly Laugh Day 2017 January 24 is a holiday observed annually. This day is dedicated to celebrating the great gift and benefits of laughter. 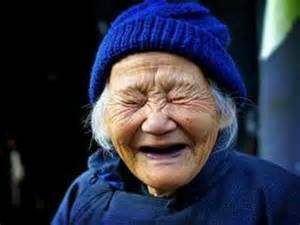 Laughter is known to have many holistic benefits including the expanding of tissue lining of blood vessels. 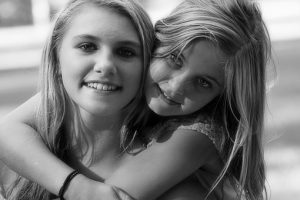 Through laughter you consequently increase blood flow in your blood vessels and this effortless, enjoyable activity does not cost anything to simply laugh. 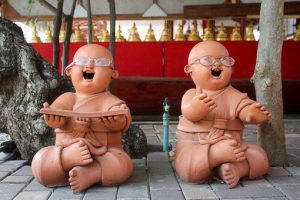 A good belly laugh in turn makes you feel more positive, boosts your immune system and generally makes you and everyone around you feel happier while enjoying the many benefits of this happy experience. Laughter is known to make people feel more positive, boost our immune systems, increases pain tolerance and generally makes people feel happier and more energetic. Belly Laugh Day aims to remind people of the benefits of laughter and encourage people to spread laughter in their lives and the lives of others. 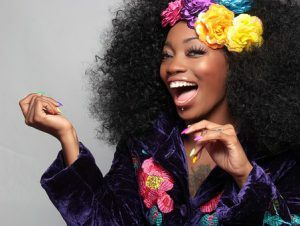 The origin of Belly Laugh Day as I understand came about to give people who have survived hard times a chance to laugh and be happy, and to give those in mourning an excuse to be happy for a day. While I respect the origin of belly laugh day I encourage laughter on a daily basis. Perhaps if we all laugh more often we can automatically improve our overall health. There is no better form of free, natural therapy than a good belly laugh. Think of all the health benefits you’ll enjoy. Your stress level will lessen and the quality of your life will improve. Think of living in the present, the here and now, take time to laugh and enjoy this moment, the here and now. Think of the therapeutic benefits you can enjoy from laughter. 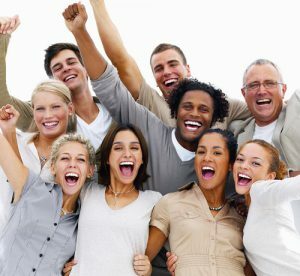 Did you know laughter is one of 12 habits of highly healthy people? Research shows laughter offers us health benefits in four health dimensions: physical, intellectual, emotional and spiritual. Laughter is like “internal jogging.” It temporarily increases your heart rate and blood pressure, followed by muscle relaxation and a decrease in blood pressure. It may boost the immune system and promote healing. It burns calories – 60 to 120 calories an hour over your resting metabolism. Laughter creates a positive effect which in turn influences attention, institution, creativity and imagination. It enhances employee morale, resilience and belief is one’s abilities in the workplace. Laughter is a great positive coping skill. It can reduce stress by providing a positive way to look at a problem. It solidifies friendships and makes people feel included. Laughter is a universal language and can be an interfaith experience. 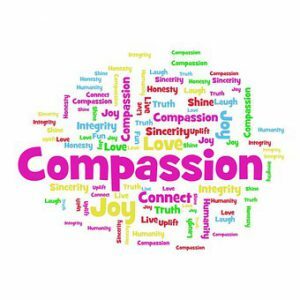 It fosters connection and compassion. Laughter yoga —a fun combination of stretching, breathing and laughing exercises that can help you feel awakened, confident, creative, productive and ready to tackle anything. 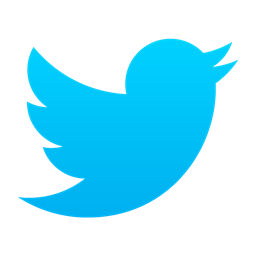 Build an inventory of funny jokes, cartoons and stories. Reflect on everything that you are grateful for. Learn to accept the things you cannot change, don’t dwell there, move on. There’s always a positive in every negative, focus on the positive. Focus on how you can bring more laughter, gratitude and acceptance not only into your life but the lives of those you love and touch. Laughter is the best medicine. 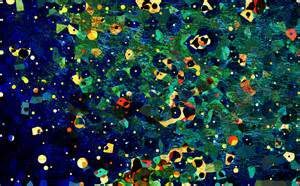 This entry was posted in BLOG and tagged belly laugh, humour, laugh, laughter on April 12, 2017 by Vena. Are you interested in perfecting your swing? If your answer to both these questions is an emphatic yes, it is time you get yourself some good quality golf equipment. Golf enthusiasts passionate about their game want to shop for the best golf equipment they can buy, appropriate to their skill level. Swinging with good quality golf equipment enables you to have a great game and most likely you’ll find your game more enjoyable. As you prepare to golf one of the most important aspects of the game is to have the best golf equipment available and suitable for you. Of course this can be daunting if you are a beginner with a tight budget. It will be helpful to find out where you can get the best deals and best bargains on your golf equipment and know just when to buy it. Golf Equipment Gearing Up For Golf The internet is of course the best place to start your research and there’s no question, the virtual world has a huge list of websites that offer good quality, and best golf equipment at discounted and clearance prices. Alike any other sport, golf requires proper gear in order to play the game properly. If you are a beginner like I am, you might want to proceed with caution on the purchase of your equipment to ensure you enjoy the game. For that reason you might want to start off with basic golf equipment. You can always upgrade your equipment depending on your commitment to the game. Moving forward on to the basic stuff you require for your first golf game, we would like to tell you that the Royal and Ancient Golf Club of St. Andrews, and the United States Golf Association govern the rules of this game. Both these organizations have been active for many decades and are responsible for the golf competitions as well as accrediting the equipment. When you shop for golf equipment, look for golf balls, carts, bags, and clubs that have been approved by these two principal organizations. The most important equipment you’ll require is a set of well made golf balls and clubs. Although these may be a bit expensive you are bound to have a better and more enjoy game by investing in them at the start. Golf balls are tiny, dimpled balls that are driven by golf clubs. The dimples on their outer surface allow them to reach far from a distance. Then of course, there is the golf club. Also known as golf driver, these come in different types. Since different golf courses have different landscapes, different types of golf clubs are necessary to ensure the proper drive. Pro level golfers have at least one to two bags of golf clubs to meet their golf needs. However, sports equipment stores and golf stores sell different types of golf clubs available in sets or, as a single piece. 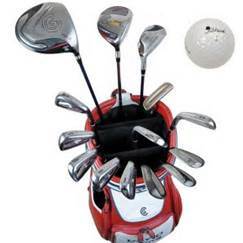 It is crucial that you protect your golf equipment hence the reason why you need a good golf bag, and golf club cover. 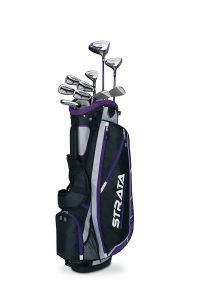 A golf bag comes in handy as it can hold all your golf clubs in one place making it easy for the caddy to carry all the clubs together. 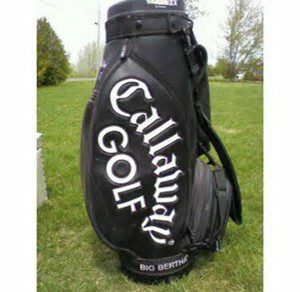 Golf bag also hold golf balls and is designed to hold a water bottle, an extra shirt, or your regular shoes. Now a golf club cover covers your golf club from one end to the other. This helps maintain the health of your golf clubs and prevent unwanted scratches and dents. A badly maintained golf club will prevent you from making a good drive. Therefore, it is very important that you cover your golf clubs with covers. Golf shoes are not your typical shoes. 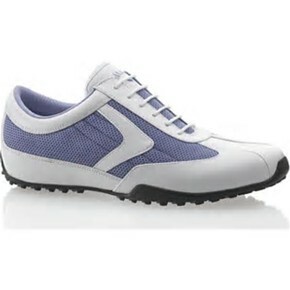 Good golf shoes are an important piece of equipment in which you must invest. They are designed to walk on grass, the types where golf is played. Golf shoes have pointed rubber under soles, which helps them grip the earth and grit under your feet, thereby avoiding unnecessary shaking, or moving. That firm grip on the ground allows you to hit the ball in the right direction without shaking. This entry was posted in BLOG and tagged club, clubs, game, golf, golf equipment, good on April 1, 2017 by Vena. My passion for golf motivated me to take golf lessons so I did some research on how to pick the best golf clubs for a beginner. 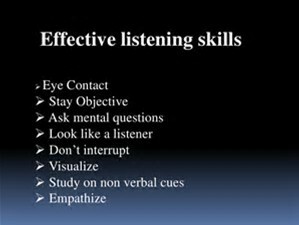 I learned some valuable tips and wish to share with you. When you are starting off learning how to golf, you want to have equipment that’s geared towards your skill level over anything else. It is not necessary to spend thousands of dollars on the most deluxe clubs available. 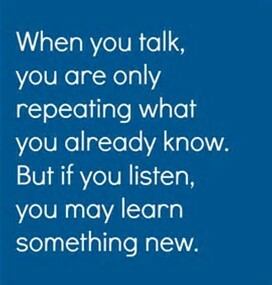 If you do you are probably not going to enjoy learning and likely encounter nothing but frustration. 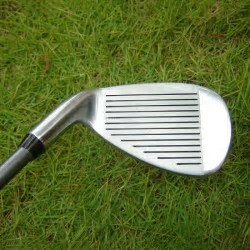 The more expensive clubs are meant to be played on by experts, so your lower skill level will clash with their design. Therefore, you’ll be left with a bunch of clubs that you utterly despise for which you paid a huge amount of money. Beginning golfers should carefully choose the clubs they buy based on a few different things, rather than just the reviews and price tag. If you consider these things, you’ll be a happier golfer in the long run, and most likely will be able to increase your skill level at a much higher rate. Depending on where you take your lessons there’s the option to rent the appropriate club to accommodate your skill level so don’t sweat it if there’s a will there’s always a way. The main thing you want to look for in golf clubs is flexibility. You’ll find that flexibility in the adjustable golf clubs. They are the best kind of clubs for those who don’t have much of an idea as to what they are doing. The adjustable golf clubs are very forgiving to new golfers. You might choose to spend a little bit extra and get the golf clubs that are able to change at the flick of the wrist. Since you are a beginner and your game play habits have not fully developed or, perhaps have not even begun to develop, it’s best to play it safe until you can have a better idea as to what you personally need in order to succeed and have fun while you learn. Another piece of great advice is to not spend too much money on your clubs. It’s tempting to buy the best clubs in hopes that they will immediately rocket you to golfing success, but it is usually a waste of money. Figure out a reasonable amount that you would like to spend on your golf clubs, and then do not stray from this amount. Golf store employees will be able to point you towards golf clubs that are within your range, and hopefully have some of the features that you are looking for. If you are feeling really adventurous, then you might check somewhere more obscure for your golf clubs. Auctions and pawn shops usually tend to have at least a few options. As long as you can look at the clubs and decide for yourself if they have what you are looking for, it just might be an excellent deal to begin. 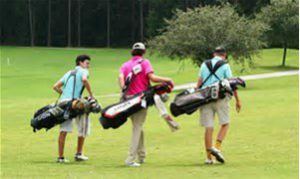 While you are still in the market, you should certainly try out as many golf clubs as you can until you find the ones that you are most comfortable with. Whether this means simply borrowing your golfing buddy’s club for one stroke or going to the club store every day to try out a few more, you will find that the more you try the better you will be able to make your final choice. If you have hands-on experience with every material, length, and head style, you will know what combination will suit you best. 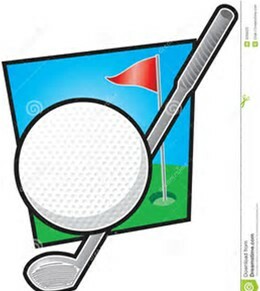 Trying out a bunch of different golf clubs will rarely present a problem, since most golfers are happy to show off their nice and expensive golf clubs and stores mostly have some sort of policy regarding the testing of equipment. If you utilize the techniques and ideas found here, you will almost certainly have a happier experience when buying golf clubs. Your goal is not to buy the most expensive or the cheapest clubs, but rather to buy the ones that will help you improve your golf game. I, myself am brand new to golf. I will be taking lessons this spring. 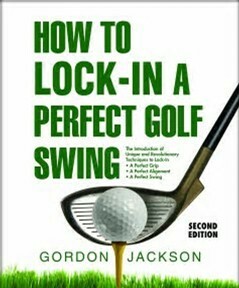 I’m excited to learn a new game, take on a new challenge learning the golf swing while enjoying the benefits of the physical & mental exercises as well. Most of all I’m looking forward to expanding my network of friends in an environment surrounded by nature where peace and tranquility of mind and body is enjoyed. 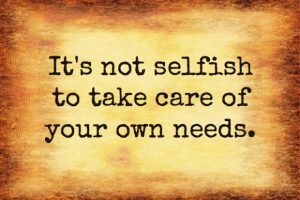 On this note I wish myself happy golfing and, to caregivers everywhere I encourage you to take time to do loving things for yourself, whatever you love to do, whatever you enjoy. This entry was posted in BLOG and tagged beginners, best golf clubs, golf lessons, golfer, happy on March 29, 2017 by Vena. Many caregivers undergo knee replacement surgery to relieve severe pain in their knee joint. In executing their duties they are often times required to lift and turn patients. Constant wear and tear on their knee joint in addition to maintaining their body weight can contribute to severe pain from joint damage. Eventually they’ll begin to have problems walking, climbing stairs, and getting up and out of a sitting position or even at rest. As their level of discomfort becomes more pronounced, they look for solution. Starting out with the easy treatments are the best. “Knee replacement surgery — also known as knee arthroplasty (ARTH-row-plas-tee) — can help relieve pain and restore function in severely diseased knee joints. 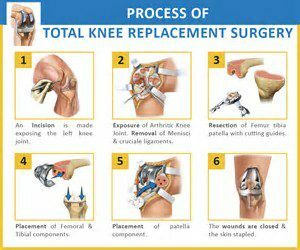 During knee replacement, a surgeon cuts away damaged bone and cartilage from your thighbone, shinbone and kneecap and replaces it with an artificial joint made of metal alloys, high-grade plastics and polymers”. An ailing knee can make life miserable for you. I’ve been around many caregivers that experienced excruciating knee pain before deciding to have a knee replacement. Even if your doctor recommends it be replaced, be sure to carefully weigh the risks and benefits before agreeing to this major surgery and understand that it will require significant rehabilitation to get back on your feet. 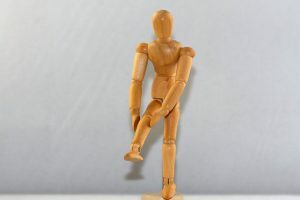 ”Most people will at some point have knee or hip pain because these large joints have a demanding task: they must bear the full weight of your body while at the same time allowing for a wide range of motion. Wear and tear, injury, and simple genetic predisposition can all contribute to knee or hip pain. This report covers a wide range of knee and hip conditions and describes in detail treatments, preventive strategies, and surgeries. You can no longer complete routine daily tasks without help. You have significant pain, like pain that keeps you awake at night despite the use of medications, pain that keeps you from being able to walk or bend over, pain that isn’t relieved by rest, or pain that isn’t helped by non-surgical approaches. You have osteoarthritis and feel the disease is wearing you down physically, emotionally, and mentally. You are suffering severe side effects from the medications for your painful knee or hip. Tests show advanced arthritis or significant joint damage. Finding the right surgeon and hospital can make a big difference to the success of your operation. In general, you’re likely to have a better result and fewer complications if your surgeon performs the operation at least 100 times a year and operates in a hospital where replacements are routinely done. Are you board-certified in orthopaedic surgery? What kind of results would you expect for someone in my condition? May I speak with any of your patients who have had this surgery? What complications occur most frequently, and how do you deal with them? Do you usually work with a particular physical therapist or rehabilitation centre? If you’re experiencing knee or hip pain, you’re not alone. Nearly everyone will experience knee or hip pain at some point in their lives. When this kind of pain strikes, doctors are likely to recommend the least invasive treatment to alleviate pain and encourage healing. routines involving an exercise ball, including stretches, abdominal curls, or leg lifts”. 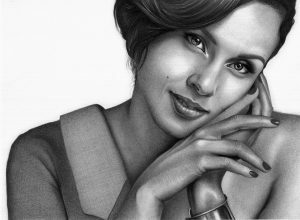 This entry was posted in BLOG on March 26, 2017 by Vena. The choices we make in life are connected to our emotions. 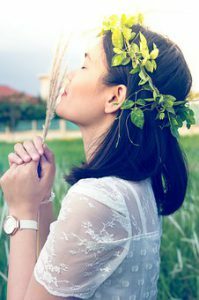 How chronically unhappy people fix their inner self depends on their desire to change their mindset. Happiness comes from your decision to be a happy person or an unhappy person. Happy people are simply happy living in the present. They understand that they alone are responsible for their happiness. As a result of their positive energy and optimistic outlook they are admired. 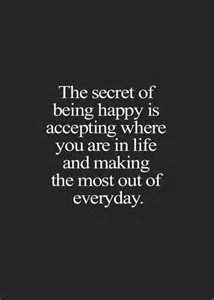 They attract and encourage other people to work on healing their inner self as most people want to be happy. Their laughter and energy become infectious. 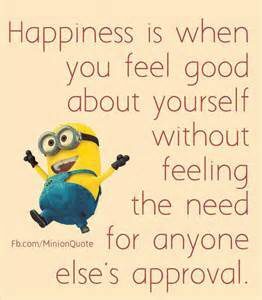 Other people want to be around happy energy so they can learn from them and be happy as well. Chronically unhappy people on the other hand are pessimists they place all kinds of negative limitations on themselves and make all kinds of excuses because they are too afraid to fail. 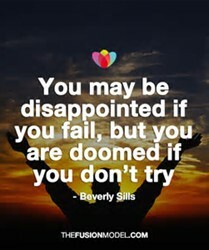 Their fear of failure paralyses their thinking and they keep themselves stuck in the same place. 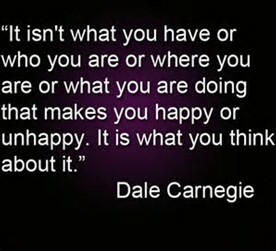 Your thoughts, actions and choices all contribute to happiness or unhappiness. If you want to be happy you entertain happy thoughts and do things that make you happy. 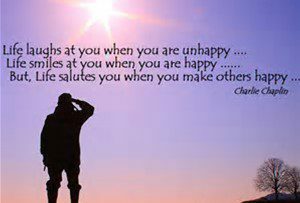 If however, you feel chronically unhappy you can be true to yourself, make some positive changes and work towards fixing your emotional state. The reality is, only you can fix your mind, your thoughts, your actions and choices. 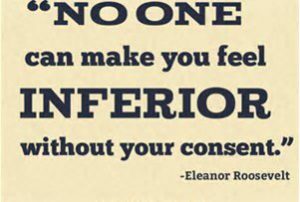 Only you can control how you feel, so don’t worry, make the choice, be happy. Here are 10 common things chronically unhappy people do and how they can heal their life. They subscribe to pessimistic views of life. Unhappy people are driven by fear. Too afraid to fail they put all kinds of limitation on themselves. They subscribe to old beliefs like “People don’t change.” “That is not fixable.” “You are finished.” No doubt these types of negative beliefs are self serving. Paralysed with fear you are not motivated to try anything new. However, in limiting your thoughts, your imagination and your actions you hold yourself back from ever reaching your actual potential. 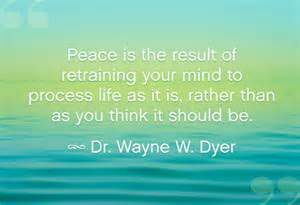 A closed mind inhibits your thoughts thereby preventing you to think and problem solve effectively. To be happy you must reset your mind and thoughts to positive thinking. In other words you must change. Be done with all the negative beliefs standing in your way of progress, free yourself of fear. 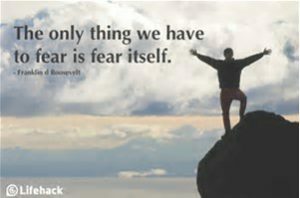 “The only thing we have to fear is fear itself” President Franklin D. Roosevelt. Happy people don’t try to be happy. Happy people make a choice to be happy. They live their life the best way they can with what they have. Chronically unhappy people on the other hand want to fix their unhappiness without having to do the necessary work required. You can’t chase happiness. It can’t be found. It can’t be grasped. It happens, when everything else falls into place. Make a choice to be happy. They are stuck and are averse to change. Change means work it means growing pain getting out of your comfort zone. It means losing control a little bit. Everyone needs a break from the hustle and bustle of life. Some may throw in the towel; some may eat a bit more and exercise less at the most crucial time they chose to become a spectator instead of being a proponent for change. 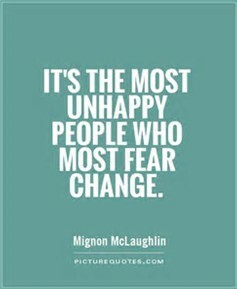 Still, it is absolutely important to practice change, feeling fear and overcoming it. Why? 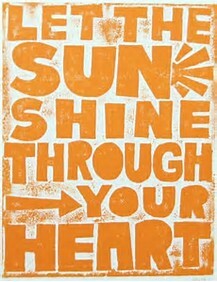 You see, happiness starts shining through when you are lest focused on finding happiness. It happens when you are not focused on finding happiness, but focused instead on overcoming fear. 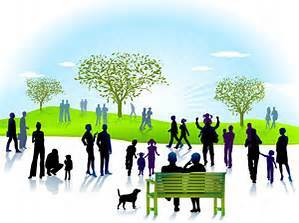 The evolution and growth of a person is where personal satisfaction and accomplishment breeds happiness. 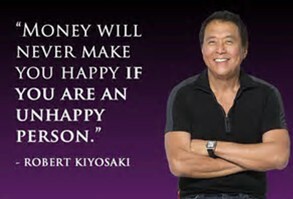 Without personal development we are expecting happiness to come without having done the work. Unhappiness is a symptom of arrested development. Knowing this, get active, take responsibility for your life and work towards appreciating what you can control. keep trying to find ourselves at every stage of our lives. try to be our best person. we need to try to serve. Happiness is finding your passion; whatever you love so much that it causes you pain. Unhappy people quit too early. They don’t give themselves credit and quit before the glory. When we know what we’re made of, it gives us confidence to try more often. “No guts no glory”. Major Gen. Frederick C. Blesse may not be well known by the general public, but in U.S. Air Force circles he remains something of a legend. 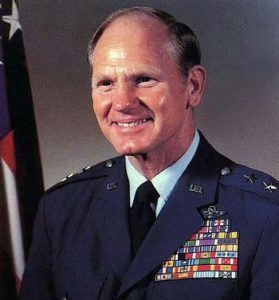 With extensive combat experience and a pile of medals and awards, his place in U.S. Air Force history was already assured in 1955 when he wrote a fighter tactics manual called No Guts, No Glory. It is considered the Bible of air-to-air combat and has been used by a number of air forces around the world. “No Pain, No Gain” is a less dramatic, but more familiar variation of the phrase, which refers to the need for hard work not only in the gym but at anything you wish to succeed in doing. practice complimenting yourself for all your efforts. be good and kind to yourself. stop the self inflicted verbal abuse. a life that goes well for the person leading it. make us better off, serves our interests, and is desirable for us and for our sake. Your disposition is a product of your thoughts, how you treat yourself and how you nourish yourself. 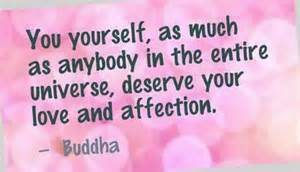 Treat yourself with love and respect, cultivate and nurture a loving, peaceful environment within. They are addicted to dark, depressing things. For instance the news and some television shows can be inherently depressing. Undoubtedly, it is easy to relate to the horror and injustices in the world and with other people. When you’re programmed to believe that your life is better compared to the horror stories we hear and see we are polluting our mind to attract those very things in our lives. What would happen if we change our mindset and exposed ourselves to funny, pleasant, happy things? Is this quote reason enough to change your mind set? You decide how you want to feel and immerse yourself in a culture to be happy. They care about what others think. You will never be happy if you’re focused on other people’s judgements of you. Focus only on what you think and care about. Work to be confident and strong in your beliefs and become a better person. It takes time to develop self confidence and discover who you truly are so never waste time caring about what others think of you. “Be true to yourself and you will never fall.” – Beastie Boys. Living life in a defensive position defy your chances for happiness. Try making some changes. Be open to taking chances, getting creative and working at something. Little achievements are big offensive moves. They are passionate and proud (but also stubborn). 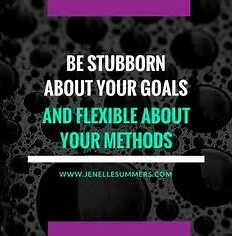 Unhappy people want to do things their way because they are stubborn. When given suggestions, they become defensive and rebel even more positive that they are right. More often than not they allow pride to get in the way. Pride however, is just another barrier standing in your way to happiness. be open to alternative ideas and solutions. 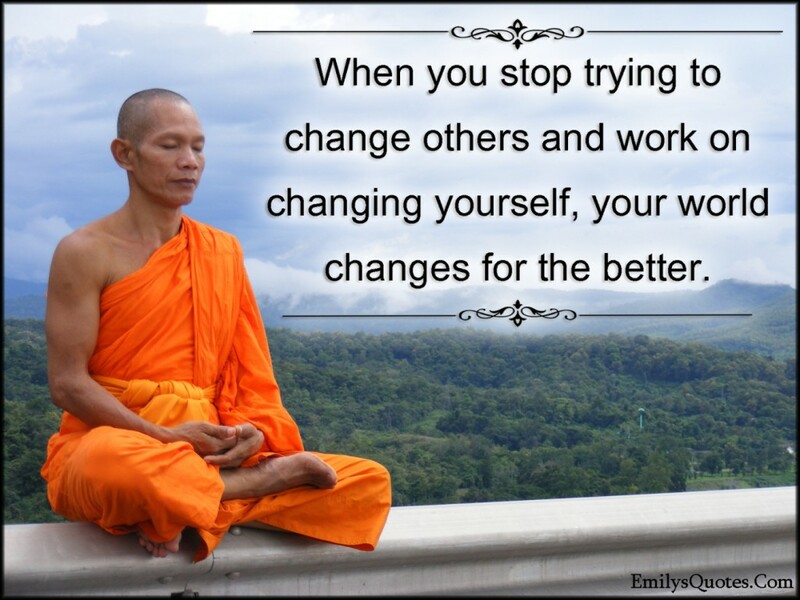 change whatever is not working for you. Being humble is the answer to happiness. Do something different, if you want a different result! They hold on for too long. 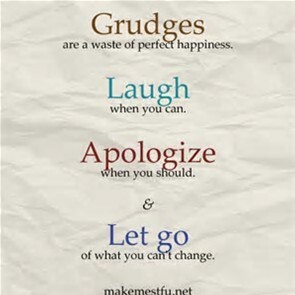 Holding onto the past whether it is grudges, toxic relationships, material possessions to name a few you must make a conscious effort to let go of the old, clear your mind and be ready to accept new opportunities waiting for you. One door must close for another to open. 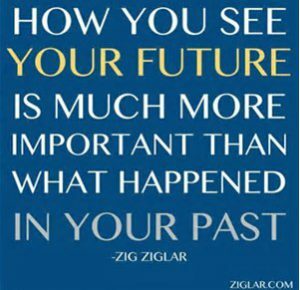 When you hold onto the past and keep looking backward halts progress and happiness. The best things happen to those that don’t hold on too tightly. Let go of your grasp, look forward and watch how things fall into place without your efforts. Have faith in something other than yourself. Let go of control and wait for the result. Do you find humour in your efforts or circumstances? If you don’t, you’re taking yourself too seriously. Learn to laugh at yourself and at others. 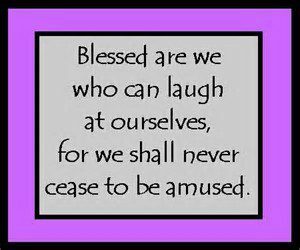 Laughter is a great natural stress reliever so lighten up laugh, appreciate your efforts; pat yourself on your back for trying. Be humble, ask and accept help from others, don’t be too hard on yourself for life is short and laughter leads to happiness. This entry was posted in BLOG and tagged defensive, grudges. stubborn, happy people, humour, laugh, laughter, unhappy people on March 22, 2017 by Vena. Difficulties give me an opportunity to exercise focus and determination to take care of the issue(s) at hand. In so doing, I learned that a calm soul makes life conquerable in trying times. 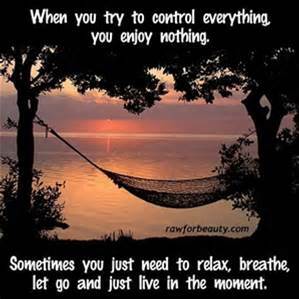 I concentrate on maintaining a calm soul and this approach helps me to conquer the challenges that I face. I spend time nurturing my mind and spirit in silent meditation and physical exercises are an important part of my daily routine. Every morning I hit the nature trail for a brisk walk with a friend allowing myself to breathe deeply in and out. I use this opportunity to chat, vent, laugh and cry when necessary. In spite of all the mixed emotions I train myself to keep calm even when it seems to be the least natural approach. It forces me to develop the will to overcome the toughest situations. I ask myself ‘what will Jesus do’? 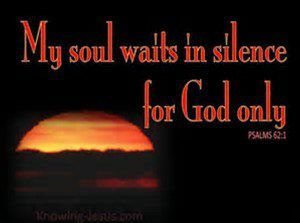 I say the Lord’s prayer and feel relieved. When I encounter resistance, my first step is to silence my soul. I ignore the feeling of impatience and anger that tug at my heart. I block them out completely as I do not wish to dwell on negative emotions. 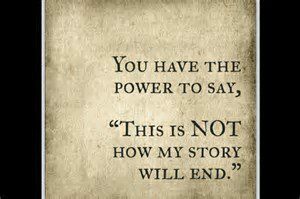 Giving in to negativity will worsen the situation and set you back. 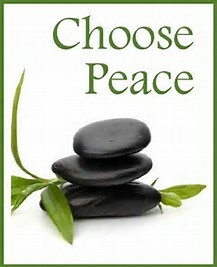 The focus is on overcoming the challenge at hand which will only be accomplished with positive and peaceful thinking. With experience and wisdom dealing with trying times encourages me to act from a place of calm reasoning. When my soul is calm, I am able to think things through. By rejecting unease at my core, I am able to make smart choices that produce best results. With serenity, I see the value in all my life experiences. Even obstacles become worthwhile and meaningful when seen in this light. 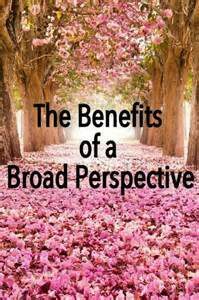 What exercises can I undertake to help me develop a consistently calm soul? Rabbi Harold Kushner reminds us that everything that God has created is potentially holy. Our task as human beings is to find that holiness in what appear to be unholy situations. 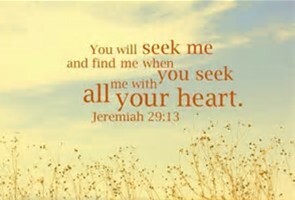 He suggests that when we can learn to do this, we will have learned to nurture our souls. It’s easy to see God’s beauty in beautiful things like a brilliant sunrise, the smile of a little child or the snow covered mountains. But can we learn to find the holiness in seemingly ugly circumstances like difficult life lessons, a struggle for life or a family tragedy? When our life is filled with the desire to see the holiness in everyday things something magical begins to happen. A feeling of peace emerges. When we begin to see nurturing aspects of daily life that were previously hidden from us. When we begin to remember that everything has God’s fingerprints on it that alone makes it special. If we remember this spiritual fact while we are dealing with a difficult person or struggling to pay our bills it broadens our perspective. It helps us to remember that God also created the person you are dealing with or that, despite the struggle to pay your bills you are truly blessed to have all that you do. The fact that we can’t see the beauty in something doesn’t mean that it’s not there. Rather, it suggests that we are not looking carefully enough or with a broad enough perspective to see it. Somewhere, in the back of your mind always remember that everything has God’s fingerprint on it. No matter what obstacles come your way a calm soul makes life conquerable in trying times. 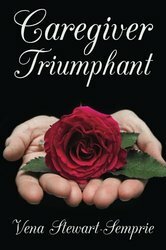 This entry was posted in BLOG and tagged broad perspective, calm soul, conquerable, overcome obstacles, peace on March 17, 2017 by Vena. Do you have fantasies about where you’d like to live someday? Maybe it’s a beautiful little seaside town in the south of France or a log cabin in the mountains of Denver. Whatever your dreams you can learn how to love your home and create your own paradise right now, where you live today, without uprooting your life! Although it’s important to strive toward making your dreams a reality, you’ll live a happier existence in the meantime if you work to create your own paradise wherever you live in this moment in time. Accept where you’re living. Whether you’re in a one-bedroom apartment or your great aunt’s condo downtown, for now, you’re calling it home. This is your own paradise for today. Tell yourself that you’re okay living where you live because it’s simply a stepping stone that will lead you to the place you want to be eventually. Meanwhile, be grateful and appreciative of where you live. Set the mood. Do you wish to lift your spirits and energy level when you walk through the door? 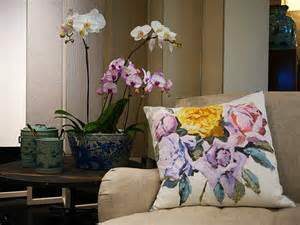 If so, decorate with brighter coloured textiles in furniture, upholstery, and curtains. Have splashes of vivid art on the walls and keep in mind, less is more, avoid clutter. No matter where you live, you can set the mood you want by painting your walls and using evocative colours. Consider options for your comfort. Do you want different furniture pieces to make your space fit you better or be more comfortable? Maybe you need a more efficient desk to sit at when you’re working at home. Perhaps different lighting fixtures would help. The key to creating your sanctuary is to set up each room exactly how you want it. This can be done on a budget, too. You don’t have to invest a fortune to create the look and feel that you desire. Consignment shops and thrift stores can be great sources for inexpensive items for your new look. Learn to love the home you have. Find specific aspects of your space that bring you joy, peace and contentment. Maybe it’s the way the sun streams in the east window of the kitchen in the mornings. Or perhaps you enjoy the open layout between the kitchen, dining, and living room areas. Notice and take full advantage of what you do like about your home. 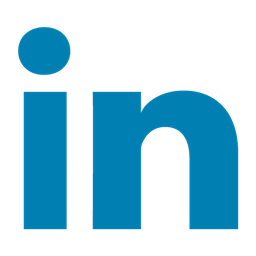 Check out design websites, apps, and books for décor ideas. Look for inspiration such as furniture arrangement, carefully placed treasures, wall colours, and use of textiles to obtain the look and feel you want. 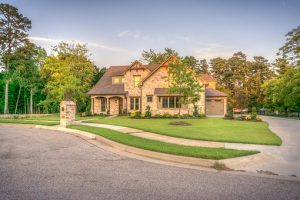 Recognize that regardless of the size and location of your home, there are countless ways to alter the space to suit your tastes and introduce the qualities you want. Show some love to yourself and your home by creating a sanctuary right where you live now. With just a few simple changes and a fresh perspective, you can create your own paradise no matter where you live! Love your home, love yourself and live in the moment. This entry was posted in BLOG and tagged affection, fantasies, love, paradise, sanctuary on March 12, 2017 by Vena. 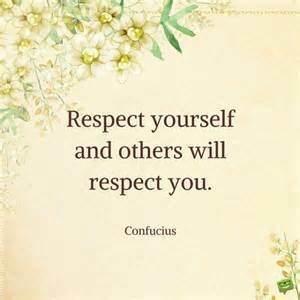 Feeling good about you and demonstrating self-respect are a chicken and egg situation: it can be difficult to tell which comes first. Do positive emotions and thoughts about yourself lead to self-respect or is it the other way around? Your experience will tell you which of these feel most true to you. Consider your own feelings. Your emotions are at least as important as everyone else’s. So, if you’re uncomfortable, act accordingly on that information. Take your own feelings into account in your everyday life and the decisions you make. Avoid making self-deprecating comments. Such remarks are often used as humour, which can build rapport between people. However, if you’re uncertain about whether you treat yourself with the respect you deserve, avoid making them until you’re sure of yourself. What you say about yourself over and over becomes what you believe. Acknowledge to yourself that you deserve respectful treatment. This is as simple as it gets. You are a human being and you deserve to be treated with fundamental human courtesies, including respect. Recognize your own value and believe in yourself. Do not allow anyone to treat you disrespectfully. Be clear that you expect to be treated with kindness and care, whether you’re interacting with a co-worker, partner, or your child. 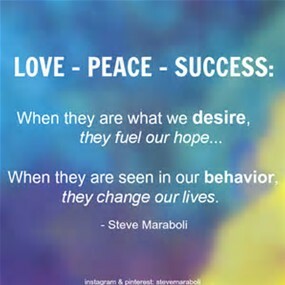 Behave in ways that show you care. How you conduct yourself sends a strong message to the world. Taking care of your body, watching the language you use, and refraining from engaging in socially unacceptable behaviours (such as eating or drinking too much, losing your temper, and speaking inappropriately) show that you have a certain measure of respect for yourself. Think of someone you admire and respect. 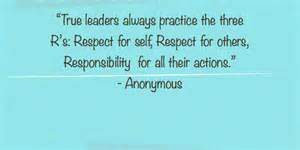 What is it about the person that earns your respect? Strive to emulate this person. You’ll be amazed how your self-respect will grow. Treat others with respect. 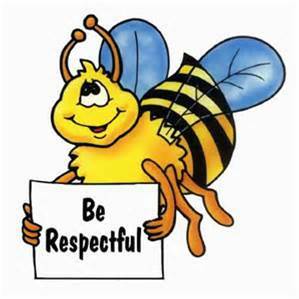 In order to treat others with respect, you need to have a clear idea about how to act in respectful ways. Then, you can turn those same responses toward yourself. 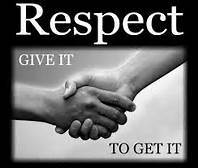 Make showing respect a way of life. Love and respect yourself and become comfortable in your own skin. 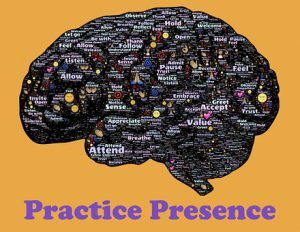 Try out some of these strategies for practising self-respect today. 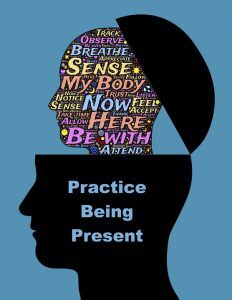 As you make these practices habitual, you’ll automatically treat yourself and others in respectful ways. You’ll be amazed at how much your quality of life will increase! This entry was posted in BLOG and tagged emotions, feelings, happiness, respect, respectful, responsibility on March 8, 2017 by Vena.